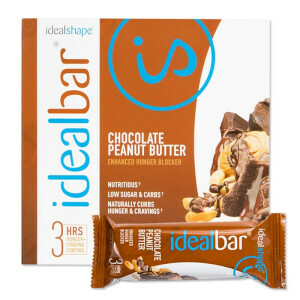 IdealShape Weight Loss Bars are a convenient alternative for those trying to lower their calories by replacing a meal with a filling, high protein snack. 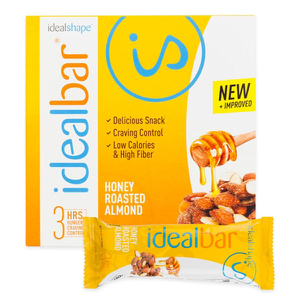 With 10 grams of protein and packed with several vitamins and minerals, IdealBar has the nutrients your body needs for energy to last until your next scheduled healthy meal! This bar is perfect for helping you achieve your weight loss goals. We know that when it comes down to it, taste can be the deciding factor in a weight loss product. If it doesn’t taste good, it’s a lot harder to incorporate into your daily routine. 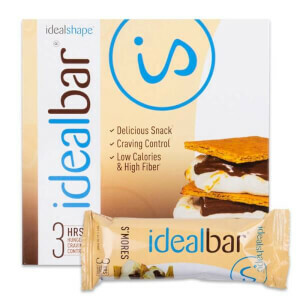 Our Strawberry Yogurt IdealBar tastes delicious and adds variety to your weight loss arsenal. It’s okay it tastes super giddy I don’t like it I like the s’mores or double chocolate protein bar they taste extremely good. Great only problem I had was it only came with 7 bars it would have been better had it come with more than that in it for that price. I am amazed with how delicious these bars are! Coming from a picky eater, that cannot stand any kind of protein mix, I was quite happy with the 10g of protein and such a great taste. These really do keep me full while I'm at work, so I don't eat all the unhealthy foods I normally would. Only complaint would be like others, the price of the bars and the shipping costs. Wish they were cheaper so I could order them more often! I love these! I love this bar and purchase it all the time. Good snack with a glass of water is a good in between snack and It is satisfying. These served their purpose and werw tasty as well. Will order again soon. I like the bars. I didn't give them five stars only because the strawberry flavor has a weird after taste. However, if I eat one I am not hungry for a few hours and I don't think about food. This is something that really helps me control the mental aspect of loosing weight. 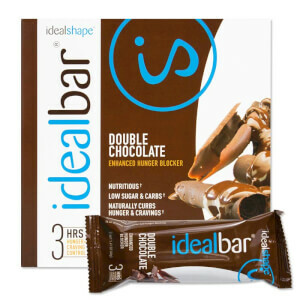 I have tried a few of the ideal bars. This is my favorite. So much flavor.